Team Tomato wants you to participate by building a float that can be pushed, pulled, carried or worn on your body. Entries for the parade are limited so sign up early. It is free to participate. WHERE: Start at S 12th St. and Russell St., Ends in the center of 5 Points. WHEN: Saturday, August 10, 2019; Line up starts at 8:30 AM, the Parade kicks off at 9 AM sharp. By signing this Agreement, I/we agree to abide by the Parade rules and guidelines as set forth in this Application and also accept responsibility for sharing these rules and guidelines with my participating group/organization/entry. Furthermore, I/we assume all risk of bodily injury and/ or property damage that I/we may incur while participating in the Tomato Art Fest parade, and I/we hereby, for myself, my child(ren), and my group/organization forever release any and all claims against the Tomato Art Festival and JD Events and Festivals, and agree to hold harmless the Tomato Art Fest and JD Events and Festivals, their respective officers, volunteers, employees, agents, and/or assigns of any kind from any and all claims which may be made for any cause whatsoever arising as a result of or in connection with the participation of myself, my child(ren) or my group/organization in the aforementioned event. Thank you for being apart of the fun event. We will be in touch with details soon. For questions or additional information please email Kelsey@goodneighborfestivals.com. 1. 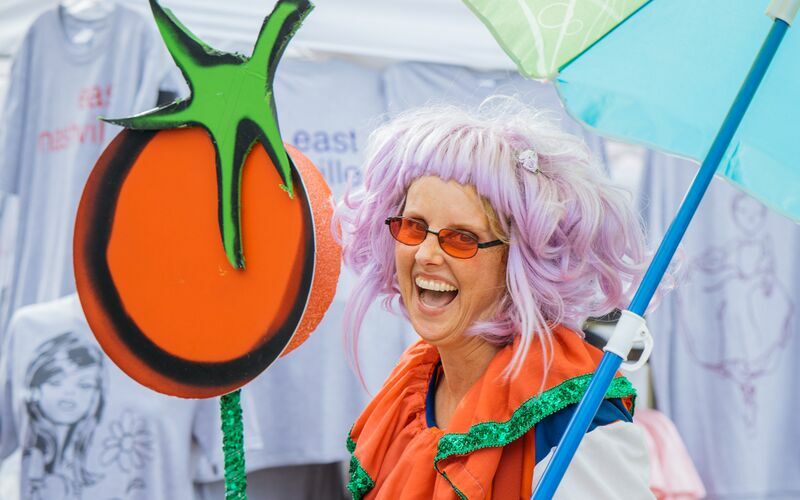 Your electronically submitted Application Form is your ACCEPTANCE, on behalf of your entry and all your entry’s participants, of all Tomato Art Fest Rules and Regulations. 2. 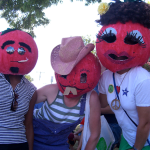 All instructions of Tomato Art Fest officials must be obeyed. Safety is our first priority, your safety and our spectator’s safety! Tomato Art Fest officials reserve the right to remove any entry at any time, whether as a result of safety concerns, interference with the Parade’s progress or any other reason that Tomato Art Fest officials deem appropriate. 3. Entries must pertain to the Tomato Art theme only! 4. Your Entry Number must be worn and easily visible to the judges. Failure to wear your number will lead to disqualification from competition. 5. 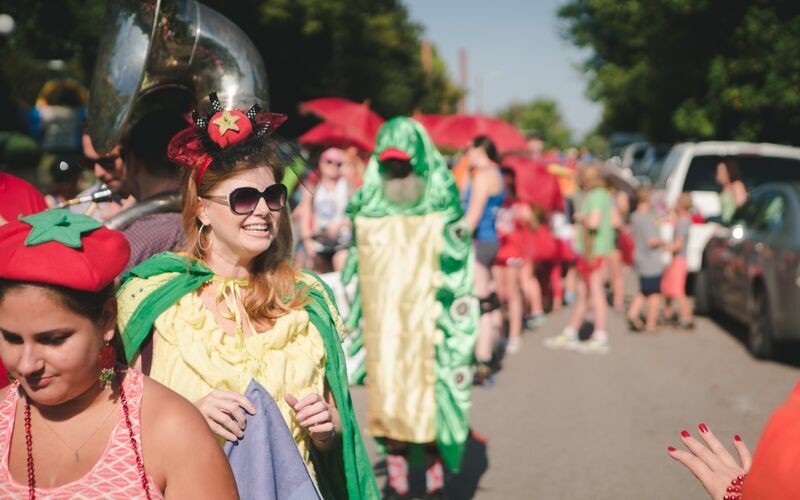 On Parade day, each entry must be accompanied by a Responsible Adult (as identified on the Parade Application) who is in charge of the entry and responsible for their participant’s knowledge of and compliance with the Rules and Regulations of the Tomato Art Fest Parade. b. The Responsible adult will ensure adequate adult supervision of all children participating in his/her entry. 7. All Parade entries shall exhibit proper disposition and control of all animals in the Parade environment. 8. 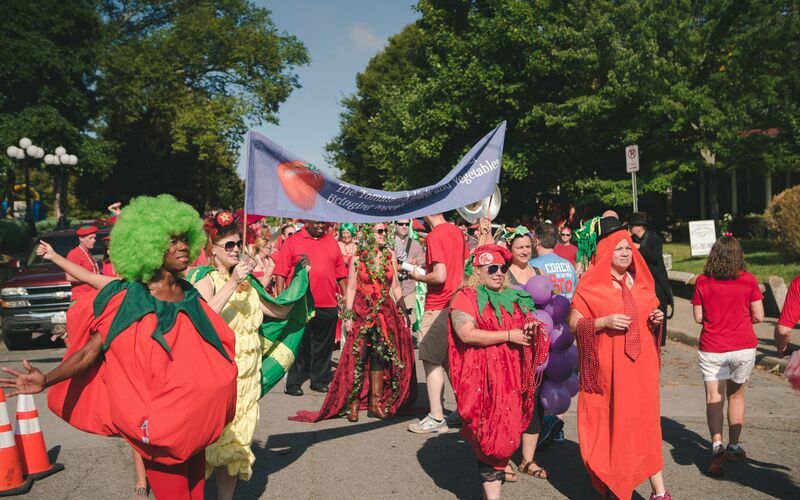 All Parties are prohibited from distributing materials (handouts, flyers, give-aways) or selling goods along the Parade route, before or during the Parade on Parade day, without the permission of the Tomato Art Fest Parade committee. a. 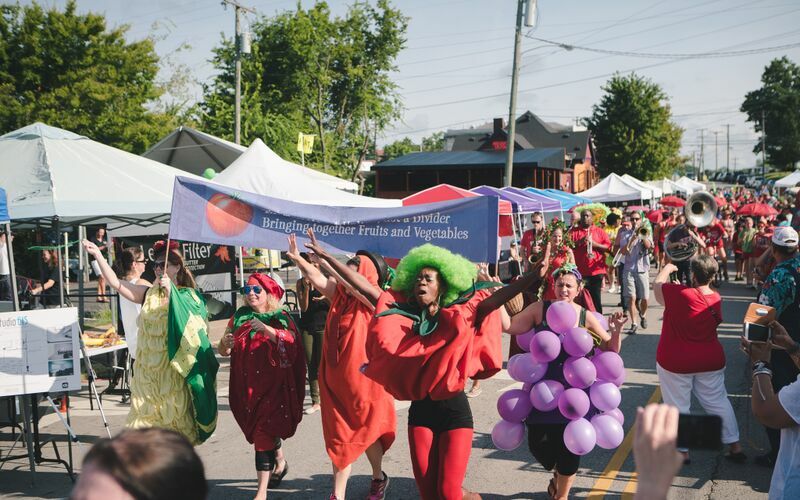 The use of alcoholic beverages by participants in any capacity in the Tomato Art Fest Parade is prohibited. b. No motor vehicles allowed; you may, however, have bicycles, roller skates, pull carts, wagons, and dogs. c. No entry shall be larger than 6' long and 6' tall. 10. Only NON-MOTORIZED “floats” are allowed. No motors or engines of any kind are allowed. 11. 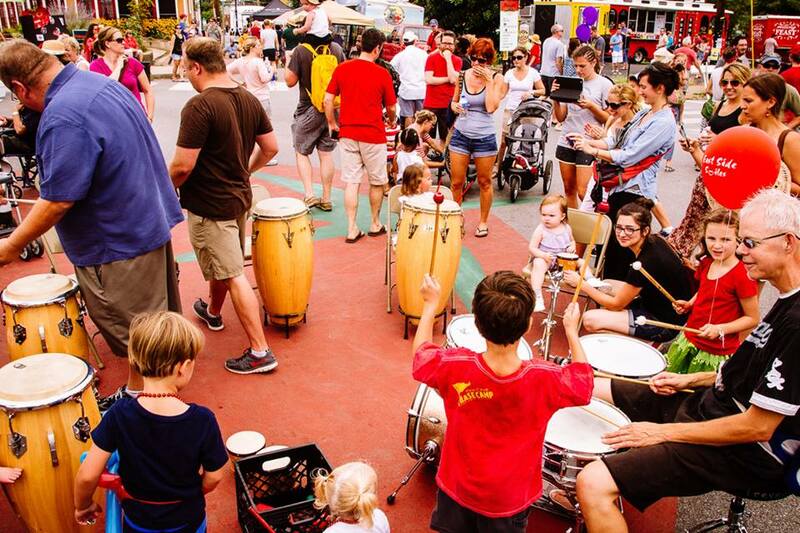 Group Representatives are responsible for informing their participants of parade requirements and rules, time, location, parking, and any other necessary details. 12. No banners or themes that are commercial, political, or controversial may be displayed. No advertising or signs of any kind may be displayed other than a sign identifying the float name or organization. 13. Themes should be appropriate for children.